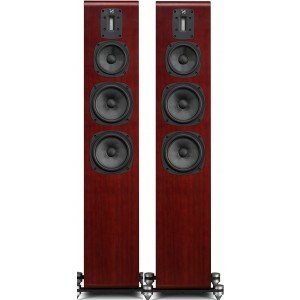 The Quad S5 floorstanding speakers feature a modern design and components. 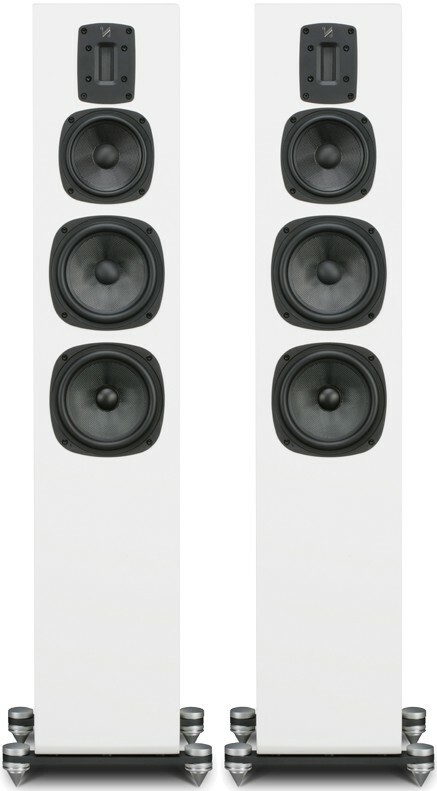 Larger than the Quad S4 floorstanders, they can be set up with the Quad S1 and Quad S2 bookshelf speakers along with the Quad SC centre speaker. Marking the 79th year of Quad's existence, the S series combine advanced Kevlar-coned bass and midrange drivers with a specially formed ribbon tweeter that delivers effortless audio expression capturing all the minute details along with the passion of the original performance. 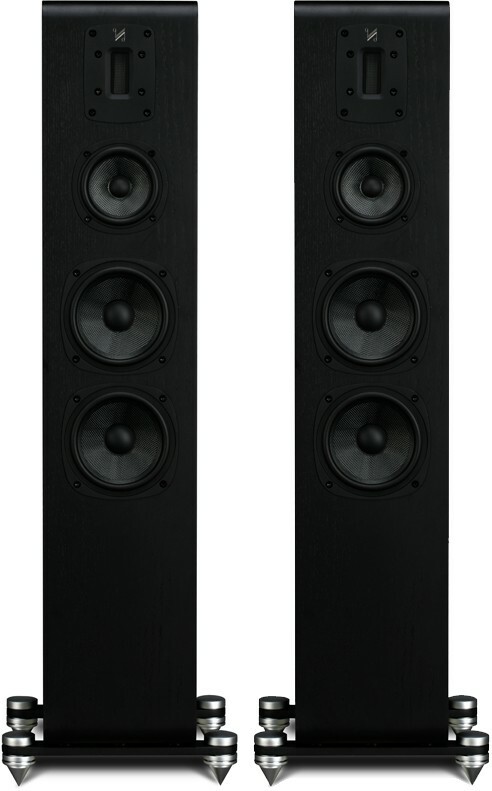 The Quad S5 floorstanders support three-way configurations, coupling a 125mm midrange driver with two 165mm bass drivers. The new ribbon unit developed for the S5 uses cutting edge techniques and materials. With a robust sandwich construction built to handle high-powered amplifiers, the ribbon is fully immersed in a powerful magnetic field allowing it to flourish as both voice coil and the sound radiator. This ribbon tweeter is aligned with Quad’s Kevlar-coned bass and midrange drivers through sophisticated crossover networks. 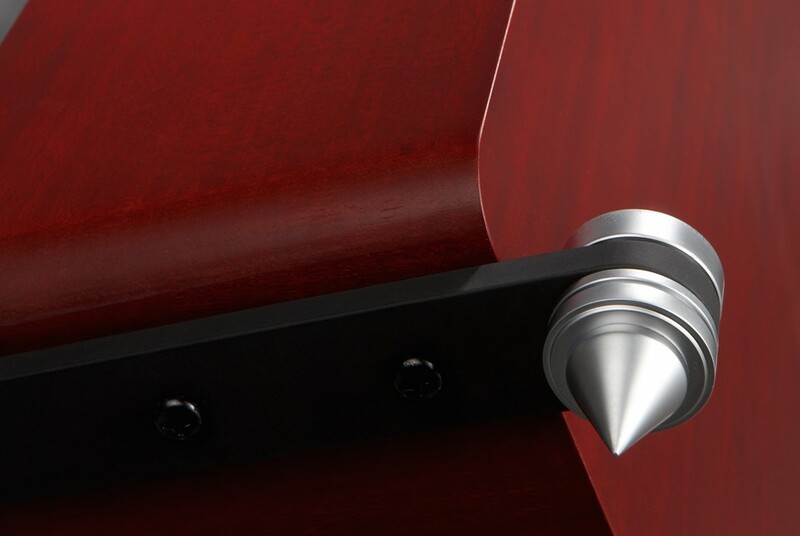 While the standmount models use carefully tuned, rear-firing reflex ports to augment the bass, the floorstanders are unusual in incorporating three ABRs (Auxiliary Bass Radiators) in place of a port. These passive, rear-firing bass units support the main drivers to extend bass response down to 35Hz whilst maintaining an accurate and articulate rendition of instrument fundamentals. 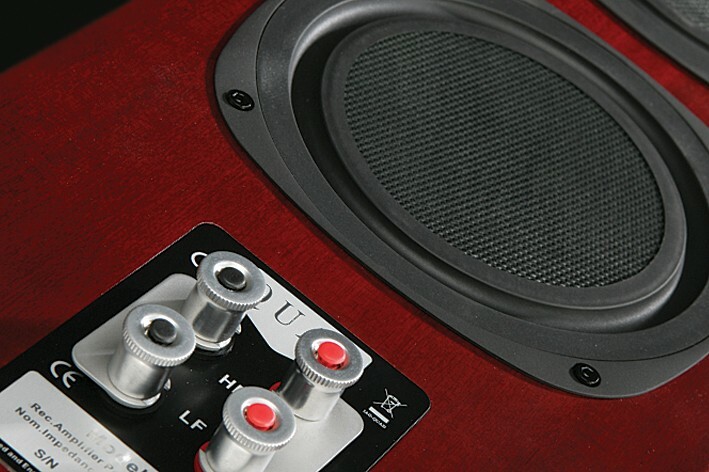 Beautifully presented with rounded top edges at the front and rear, each speaker cabinet uses a sandwich construction of alternate layers of MDF and high-density particleboard to reduce panel resonance to below the level of audibility. Aesthetically, the look is classically Quad yet subtly updated, available in a choice of black or sapele mahogany wood veneers. Simply a very very good speaker.